Nissan Repair in Boulder by Master Mechanics. Call (303) 449-8949 to Book an Appointment. We Offer Free Initial Repair Assessments. At Independent Motors, we do Nissan repair and service on old, used and new vehicles. Known for and designed with safety, optimal performance and innovative technology in mind, even a Nissan needs some repairs every once and a while. What You Need To Know About Your Nissan! What does Nissan do best? They move you through life with greater exhilaration, confidence and connection to the world around you. Intelligent Mobility is the buzzword and the very foundation of the vehicles they make – all of which are award winning. Intelligent Mobility is their engineering philosophy, and it’s embodied in three main areas of innovation that inspires how vehicles are driven, powered and integrated into society. Nissan leads when it comes to innovation producing vehicles that are smart, safe and road ready with the best technology. The company is always striving towards making new technologies available and their goal is to offer first-of-its-kind vehicles now and in the future. They take the stress out of driving and let you soak up the joy while on the road. Nissan is being hailed as front-runners in developing Electric Vehicles and Self-Driving Cars. And what about functionality? Nissan’s biggest seller is that their vehicles are sound – inside and out. As a result, their vehicles are award-winning and a Top Safety Pick from the Insurance Institute for Highway Safety (IIHS). Why Trust Us With Your Nissan Repair? 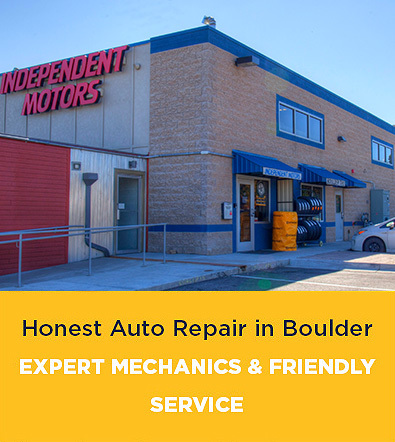 You’ll be hard-pressed to find a more experienced Nissan repair and auto repair shop in Boulder than Independent Motors. The Nissan brand is in our DNA. We’ve been doing Nissan repair in Boulder longer than any other auto repair shop, including the local dealership. 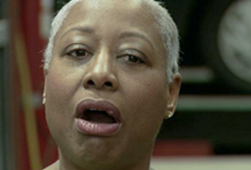 In fact, we’re specialists at Nissan repair. Founder and owner Bill Bender started working on Nissans (then called Datsun) in Miami in 1974, when the Datsun 240Z was one of the hottest cars around. It dominated the race car circuit and the sports car market along with subsequent Z-car models such as the 260Z, 280Z and the 300ZX that actor Paul Newman raced to victory in 1985. Another great early model was the Datsun 510, sometimes called the “poor man’s BMW.” Reliable, affordable, and fast, the Datsun 510 has a cult following to this day. 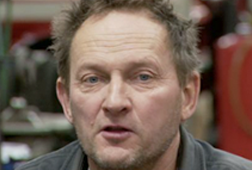 After moving to Colorado and working at several Nissan dealers, Bill founded Independent Datsun in 1983. By 1984, the business had three Nissan Master Technicians, more than any Nissan dealership in Colorado. As a result of our success and the local dealership’s subsequent lack of work, Nissan Motor Corp. sued us for a trade name infringement, and we changed our name to Independent Motors. Senior Nissan Master Technician, Tony Madrigal, has been repairing Nissan vehicles with us since 1984! All in, we have more than 200 years of collective professional automotive repair experience plus an arsenal of diagnostic tools to make sure we can repair whatever model is out there: Nissan Sedan, Nissan SUV, and Nissan Truck. We commit to quality repairs by putting our words and actions into gear – literally! Each Nissan has its own character, strengths and weaknesses. And while Nissan comes pretty darn close to perfect, we’ve become experts in identifying and making some of the most common Nissan repairs. Nissan Repair Costs: Repairing your vehicle can be costly, especially if the recommended maintenance has been neglected. We help you cut costs by keeping up on all the maintenance schedules and prioritizing repairs that need immediate attention versus ones that can wait. By sourcing the best parts for the money and by providing the best Nissan technicians to work on your car, we save you money. As a result, our pricing is highly competitive. We know that at times cost for anyone can be an issue, but we find solutions to keep your costs down. Nissan Parts: We normally use original equipment manufacturer (OEM) parts, but only when they are cost-efficient. Otherwise, we can source an equally durable aftermarket part. That’s right we will always help save you money. Customers in Boulder have been bringing their Nissan’s to us for years. They know that when it comes to the Nissan lineup we have it covered. Our team of professionals knows all about Nissan vehicles – inside and out. Once you arrive at our shop we assess what needs to be done to your vehicle and will work to get you the best repairs for the best cost. Furthermore, we help save you money and will have your vehicle back on the road quickly. We take pride in every repair we take on and this is why we have been in business now for over two decades. Being informed with getting accurate information is crucial when you’re about to purchase or repair your Nissan. You want assurance that your Nissan enters a reputable, knowledgeable and reliable auto repair facility. The mechanics at Independent Motors are backed by many years of experience and specialized expertise to answer frequently asked questions about your Nissan. Why does my Nissan stutter on acceleration? One or more of the ignition coils is misfiring, so we replace coils to ensure your vehicle runs smoothly on the highway or in the city. Why do I hear ticking noise on acceleration? The exhaust manifolds tend to warp leaking exhaust gas. Why do I get a knocking noise on turns? Quite often the tire sizes Nissan offers are considered sporty sizes, i.e., they are tires that are designed to match the handling capabilities of the vehicle they are going on. Those sport tires are designed more for handling and speed than longevity. My window went clunk and now it won’t come up. What do you think is wrong? Nissan vehicles sometimes go through window regulators more than many other models, and this is common. The axle boots are worn causing the CV joints to wear. No worries, this is common and fixable. Why does my Pathfinder feel loose in the rear? The lateral links that hold the rear axles in place are worn causing them to shift. Why does my distributor make noise? The timing belt is stretched and needs to be replaced, which we can take care of at a competitive cost. Why do I have oil spots at the front of my engine? The oil cooler is leaking and this should be addressed right away. We repair leaks and this means no more oil spots. Why do I have a knocking or thump when I give it gas and or have a vibration at cruising speeds? When the driveshaft center carrier bearing is worn, Nissan vehicles can potentially have one or more of thousands of different trouble codes stored when the CEL comes on. Call our auto repair shop today at (303) 449-8949 for the Best in Nissan Repair, Service & Maintenance in Boulder, CO. You’ll be glad you did!